Before beginning the year, I set up Google alerts for the words “national parks.” So once a day I receive an email with news from the parks. I expected to read about battles over snowmobiles in Yellowstone, mining near the Grand Canyon and budgets in Washington D.C. What has surprised me is the number of stories involving deaths — starting with the shooting of Mt. Rainier ranger Margaret Anderson on Jan. 1 and followed by drownings, falls, animal attacks and a rodent-borne disease. This probably shouldn’t have surprised me. The national parks aren’t Disney. And as I said when I started this year, that’s one reason I love them. But these stories are a reminder that it’s important to prepare before entering the parks and to be mindful of the dangers while exploring them. Which brings me to why I haven’t posted anything in a while. A broken collarbone, concussion, ambulance ride and surgery. I wish this was the result of some sort of dramatic national park adventure. During the course of this year, I’ve safely mountain biked up and down an icy road to Cadillac Mountain in Acadia, climbed the cables to the top of Half Dome in Yosemite, hiked by myself to the river in the Grand Canyon, encountered a grizzly bear in Yellowstone (OK, by “encountered” I mean “saw from a distance”) and — perhaps most dangerous of all — driven in New York City. But when I got home after my last trip, I managed to get in a bike crash less than a mile from my house. The crash and post-surgery recovery have forced me to try to do something I haven’t done much of this year: sit still. For quite a while I wasn’t able to write by hand (my left arm was in a sling) or type very easily. I tried to find an technological solution. I ordered Dragon transcription and dictation software, hoping it would allow me to catch up on all the work I want to do. It mostly just added to the frustration. So instead I watched a lot of baseball (tried watching cable news coverage of politics, but that about drove me crazy) and ultimately did a lot of thinking. About this year. About family and friends. About my mom. About death — and life — and the national parks. My last stop — the one I hadn’t gotten around to writing about yet — was one of our newest NPS sites, the Flight 93 Memorial in Pennsylvania. I traveled there with Lori Guadagno, the sister of one of the Flight 93 passengers, Richard Guadagno. 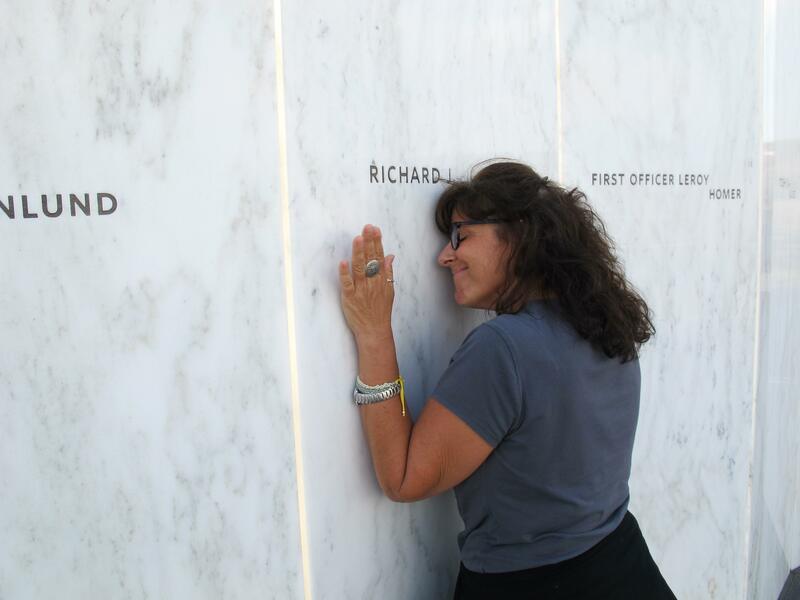 Lori Guadagno at the spot on the Flight 93 National Memorial wall with the name of her brother. Six years ago I traveled to the Flight 93 site with Lori, her longtime boyfriend and her parents — all of whom now live in the Jacksonville area. They became more than the subjects of a story about the fifth anniversary. They became close friends. They tell me that I’m part of the family. And I’ve been honored and humbled to spend several 9/11 anniversaries with them. Even though I never met Richard, I now feel like I knew him. He was, among many other things, a U.S. 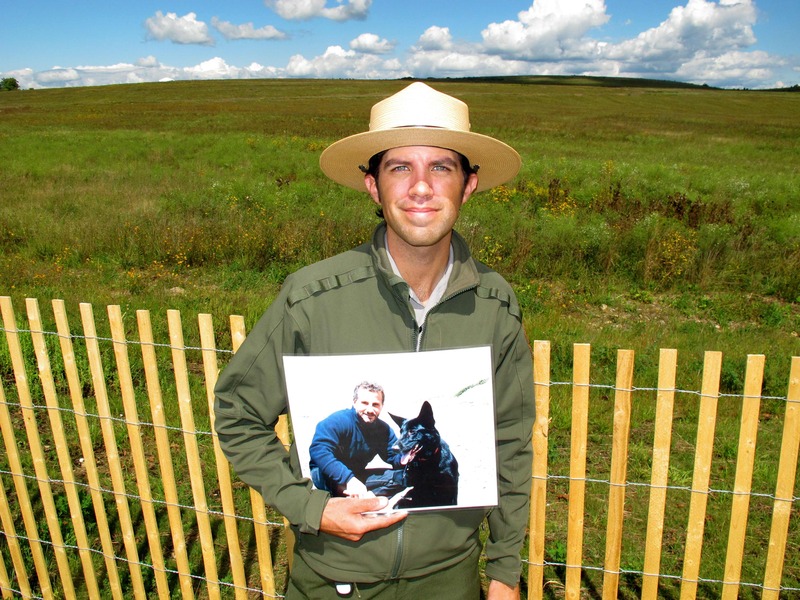 Fish and Wildlife ranger who was passionate about protecting the outdoors, preserving land as places of refuge for nature and for man. So when I put together a proposal for the Eugene C. Pulliam Fellowship, that was one key piece of it. I wanted to include a historic site. 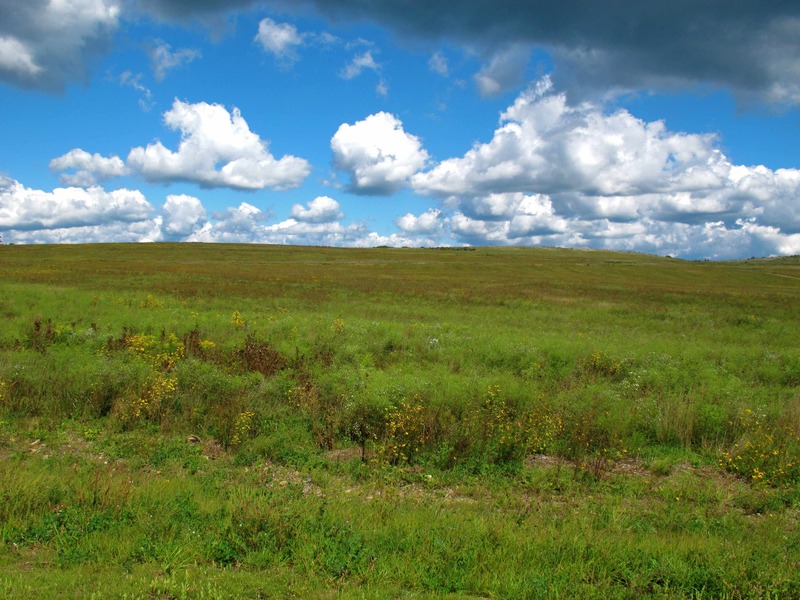 But instead of going to a place like Gettysburg, I would travel to the field in Pennsylvania where Flight 93 crashed. Tell Richard’s story. Tell the story of the field, once the bleak site of old strip mines now coming back to life with trees, wildflowers and wildlife. Think about how this park will tell the story of Flight 93 long after all of us who were alive when it happened are gone. I find that last part to be fascinating. The park system is full of historic pieces. But in many cases that history predates not only the people who staff and visit the park, but the park service itself. This place is different. People who visit the Flight 93 National Memorial remember 9/11 in a very personal way. They literally recall that day, where they were, what they were doing, how they felt. You can see that just in the notes that people tack to a bulletin board. They not only include personal memories, they are written directly to the passengers and crew of Flight 93. But that type of personal connection obviously is changing as time marches on. One of the missions of the memorial site is to make sure that when future generations remember 9/11, they don’t merely think of New York; that they remember what happened at the Pentagon and what could have happened in Washington D.C. Beyond making sure people remember Flight 93, there is this question: How should they remember it? How should the story be told? This, in a nutshell, is The Question for the park, its staff and volunteers. And the challenge might have been summed up by Dennis Roddy, a former Pittsburgh Post-Gazette staff writer, now an assistant to Pennsylvania Gov. Tom Corbett. He was on another panel discussion, journalists who were among the first to cover the crash. He talked not only about sorting out the details immediately after the crash — but about the challenge of continuing the process into the future. This isn’t as easy at it sounds. American history is full of mistakes and myths (George Washington chopping down a cherry tree, Betsy Ross sewing the first flag, etc. ), some embraced and perpetuated by the park service (see the saga of the campfire myth at Yellowstone). And when there is emotion and patriotism involved, it becomes especially tempting to connect dots, fill in blanks and simplify a story. We know so much about what happened on 9/11 and Flight 93. But there is much we don’t know and never will know. And in many ways, that’s OK. There is no need to embellish the the story of Flight 93. After spending a week at the park, going to the crash site with Lori, listening to the interpretive talks, meeting with rangers and volunteers, seeing how much the place has changed since the fifth anniversary — and the plans for the future — I firmly believe this place is in the hands of people who not only are passionate about remembering 9/11, but about getting it right. I’ll save the details for later. But for now, suffice it to say this already is a remarkable piece of the park system. At their best, the parks make you stop, think and put things in perspective. The Grand Canyon, for instance, always makes me think of time, of how we are such a speck in it. The Flight 93 memorial certainly has its own contemplative effect. It’s a place that when you think about it later — and you do think about this place later — it makes you not only appreciate the past, but live in the moment. (Something I’m not always good at.) It also makes you realize how trivial a bike crash is. It is a place that somehow is both overwhelming sad and uplifting. And not just because of its history. The 2,200 acres, a swath of land that not too long ago had been stripped of so much of its life and natural resources, is coming back, growing more beautiful by the day. And that, Lori Guadagno says, would have made her brother happy. Next stop: Olympic National Park and the preservation of a natural resource we often take for granted. Sound. Mark, I enjoyed reading your article and viewing the pictures - and look forward to reading your book. It was a pleasure to meet you in Shanksville. Tank you for being able to state the issues/problems when it comes to keeping the memory alive and the flame burning. Thank you, Mark for your eloquent words and for wanting to "get it right." I was Rich's girlfriend at the time of the 9/11 attacks. I was at the memorial site for the 4th and 10th anniversary events, and it was amazing to see how beautiful it has become. Rich would have loved the natural reclamation process. Thanks so much for the kind words. They especially mean a lot coming from those who knew Rich. ... As was the case when I sent to Shanksville for the 5th anniversary, I was honored and humbled to be there. I look forward to trying to continue to tell his story -- and the story of the park. Mark--what a great article and beautiful photos. I'm confident that you will keep the story of Flight 93 alive for all future generations. I'm sorry to hear about your mishap and hope you are getting better every day. We will be in Florida at the end of the month and hope to attend your presentation. And Lori is right--you are part of our family. See you soon.